Qigong (pronounced CHEE-gong) is a Chinese word that means “cultivation of energy;” and Clinical Qigong is the practice of manipulating the underlying bioenergy within the client’s body in order to provide physical, mental/emotional, and spiritual healing. Clinical Qigong is used in hospitals in China that includes both hands-on (the body) and hands-off techniques and work within the philosophical and theoretical framework of Acupuncture, but without the use of needles. 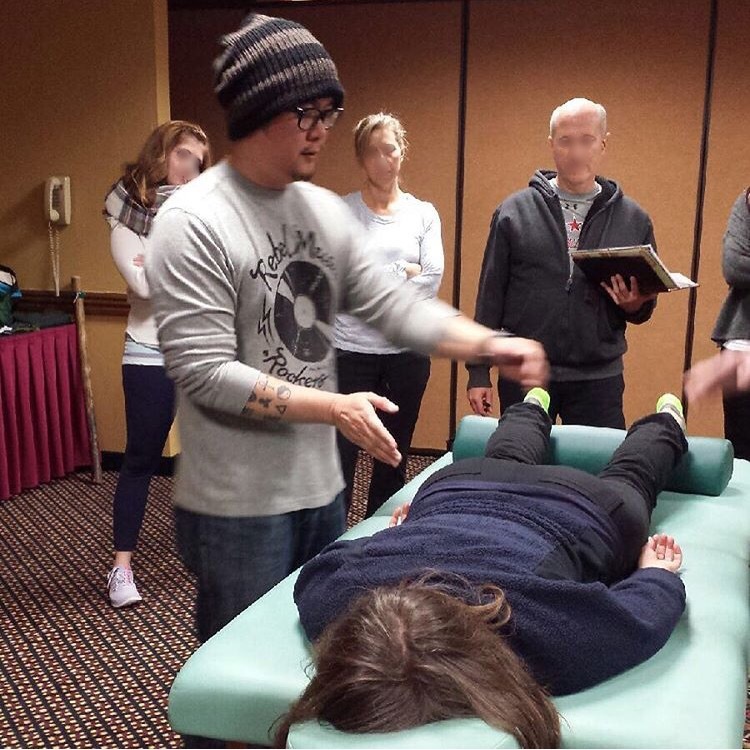 Included in the realm of Clinical Qigong is Neuro-Energetic Therapy, a gentle but powerful healing technique that utilizes the energy of the nerve ganglia of the spine to achieve physical/emotional homeostasis in the body. Reiki (pronounced RAY-kee) is a Japanese word that means “higher power energy,” and is a healing technique based on the principle that the therapist can channel energy into the client’s bioenergetic field by means of touch, to activate the natural healing processes of the client’s body and restore physical and emotional well-being. Reiki also includes both hands-on (the body) and hands-off techniques, but work mainly with the chakra system. Purple Cloud’s Energy Healing techniques are therefore a blend of both Clinical Qigong and Reiki, and many clients who have received the combination of Acupuncture and Energy Healing at Purple Cloud have said that it was a powerful spiritual experience. Sonny demonstrates Energy Healing for back and leg pain. Very similar to an acupuncture treatment, the clients lays down on the table either face up or face down, depending on the condition being treated. When settled on the table, the client is then led to a very relaxed state with a guided meditation, utilizing the breath and various visualizations. The treatment is done with either the hands gently on the client in various areas from head to toe, or completely off the body. Some clients may feel very subtle tingling sensations all throughout the body, and sometimes see a lively swirl of colors with their eyes closed. Some clients experience none of either. But the end result is usually a feeling of relaxation and inner peace.